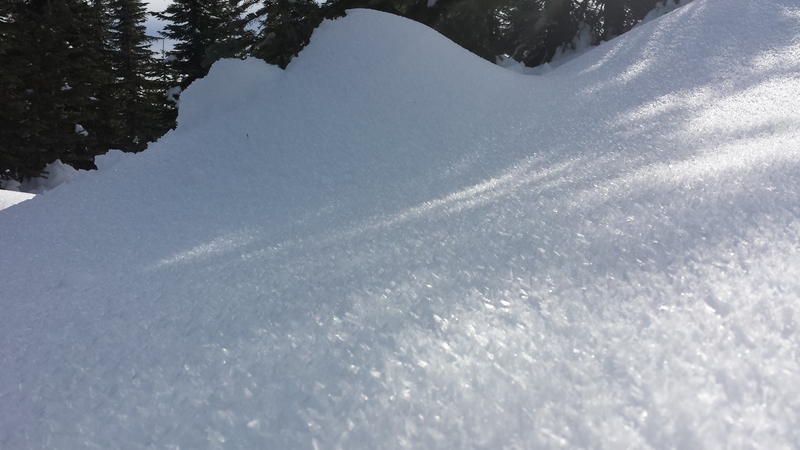 Storm Slab avalanches release naturally during snow storms and can be triggered for a few days after a storm. They often release at or below the trigger point. They exist throughout the terrain. Avoid them by waiting for the storm snow to stabilize. National Weather Service Forecast predictions for the coming weekend are calling for an end to the warm sunny days which will be replaced by rain and temperatures running 10-15 degrees F above normal. This weather scenario will likely bring rain to the lower elevations and potenial for new snow above 5,000 feet. At this point it does not look like we will be recieving heavy acumulations. However, this snow will be falling on either a new melt-freeze crust or freshly developed surface hoar (image). Any new snow that falls at higher elevations this weekend will likely form a poor bond with the existing snowpack. This avalanche problem is hard to predict at this point due to the reliance on incoming weather. Bottom Line: Be observant of incoming snow falling at higher elevations through the weekend; be cautious around any slopes that appear to be accumulating substantial loading or forming slabs. Loose Wet avalanches occur when water is running through the snowpack, and release at or below the trigger point. Avoid very steep slopes and terrain traps such as cliffs, gullies, or tree wells. Exit avalanche terrain when you see pinwheels, roller balls, a slushy surface, or during rain-on-snow events. Visit the Flathead Avalanche Center website for upcoming events and education opportunities. Help support avalanche forecasting on the Kootenia and Flathead by becoming a member or making a donation. Today (February 11th) Nate and I traveled into the Buckhorn Ridge area of the Purcell Mountain Range. After a warm and sunny week with temperatures reaching into the upper 40s we expected some crusty conditions. Our pessimism fulfilled itself as we snowmobiled up to an elevation of 6,000 feet to find a nice supportive crust with a layer of surface hoar forming due to the cool nights above 5,500 feet. This surface hoar development is likely to be pretty scattered across the forest. Temperature inversions have been holding in pockets of cold air in the valley bottoms, and warm air seems to be trapped at the middle elevations below 5,500 feet. Above this level we observed scattered pockets of surface hoar at upper elevations where colder, moist air has been growing some substantial crystals. Surface hoar development at 5,500' below Buckhorn ridge on a northeast aspect. Whether or not this surface hoar development creates a long term problem for snowpack stability will be determined by how high the rain climbs this weekend. Warm temps and rain could break it down; however, it could get buried with a fresh layer of snow causing a very weak interface and a tricky avalanche problem in the future. We dug a snow pit at 6,100' on a northeast aspect where we found terrible skiing conditions but a very stable snowpack. 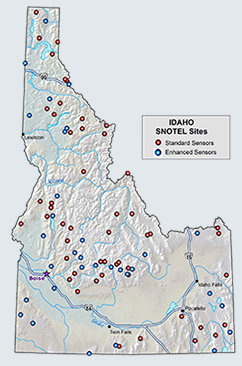 The weakest points in the stability tests failed with hard force at 12 inches (below the January 28th rain crust) and at 19 inches on a snow density change (ECTN24) below the surface. These failures had a fairly clean shear but did not propagate across the column. but confidence is not great at this time. will ultimately decide how much snow falls, and where it falls. This advisory applies only to backcountry areas outside established ski area boundaries. This advisory describes general avalanche conditions and local variations always occur. This advisory expires midnight on the posted day unless otherwise noted. The information in this advisory is provided by the USDA Forest Service who is solely responsible for its content. 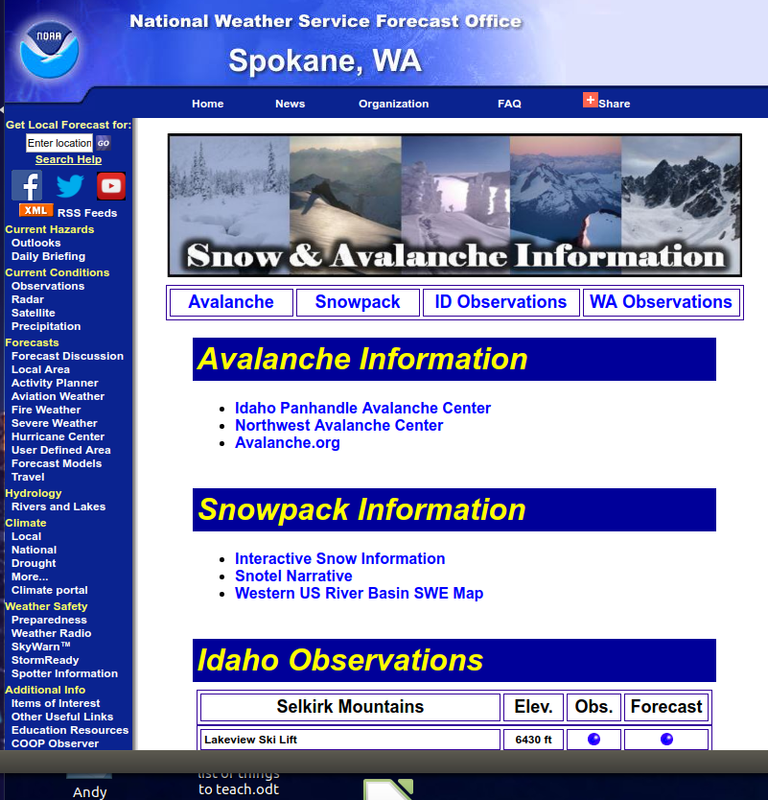 This website is owned and maintained by the Friends of the Idaho Panhandle Avalanche Center. Some of the content is updated by the USDA avalanche forecasters including the forecasts and some observational data. The USDA is not responsible for any advertising, fund-raising events/information, or sponsorship information, or other content not related to the forecasts and the data pertaining to the forecasts.